Halloween is just 24 hours away, and if you haven&apos;t yet sewed the final details on that complicated DIY costume, bought your trick-or-treating candy, planned your set-it-and-forget-it crockpot dinner, and carved a giant jack-o-lantern, you might want to rethink your day-of plans. 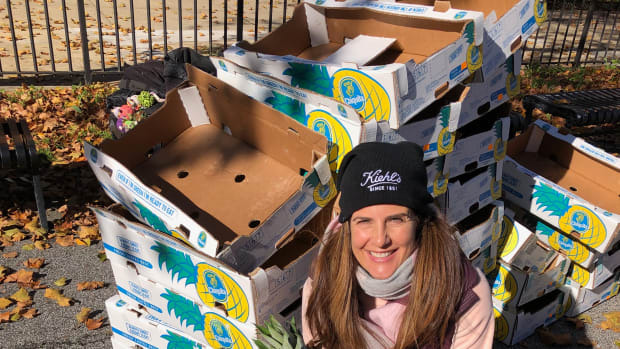 In fact, you might wanna ditch the big knife and scooper altogether. 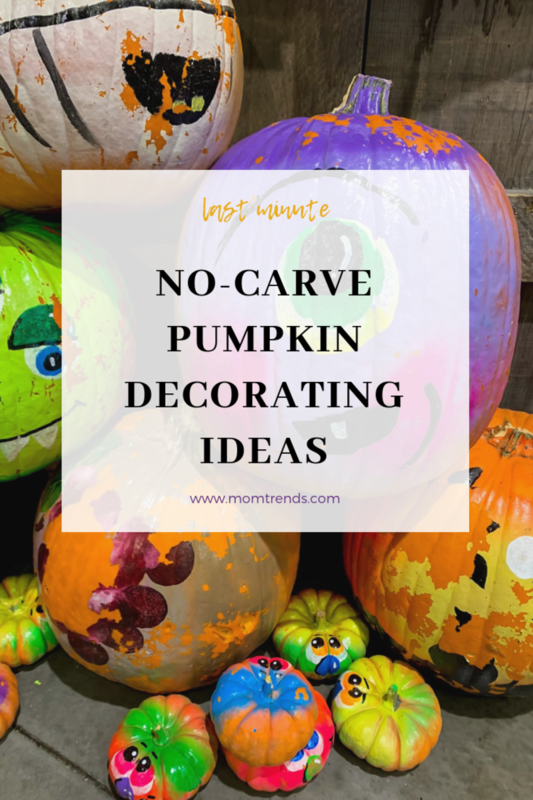 I love a creatively carved pumpkin as much as the next Halloween-obsessed mama, but time is a-tickin&apos; and you&apos;ve got places to go and people to "boo." There&apos;s an easier way to get those pumpkins decked out before the first witches, ghouls, and princesses knock on your front door. 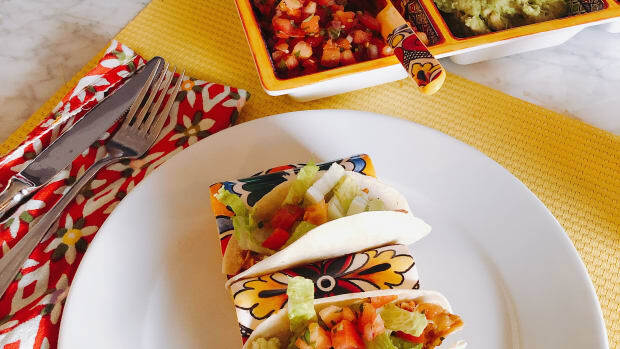 We&apos;ve got a few crafty ideas that are super easy and procrastinator-friendly. Better yet, since these orange beauties aren&apos;t carved, they&apos;ll last longer and you can keep them up well into November. When I was a kid, we used to paint our pumpkins every year with silly faces or cute scenes. 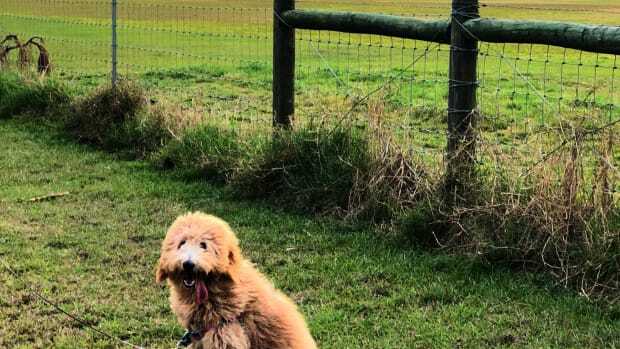 Sure, you can go the scary route and brush on some monster teeth and eyeballs (I mean how fun are these guys up top?! 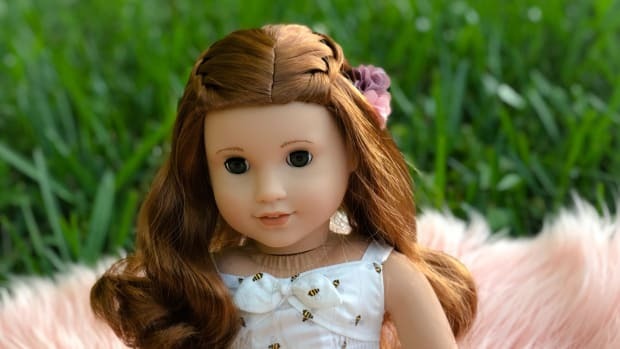 ), but you can also make something more evergreen and harvest-friendly. 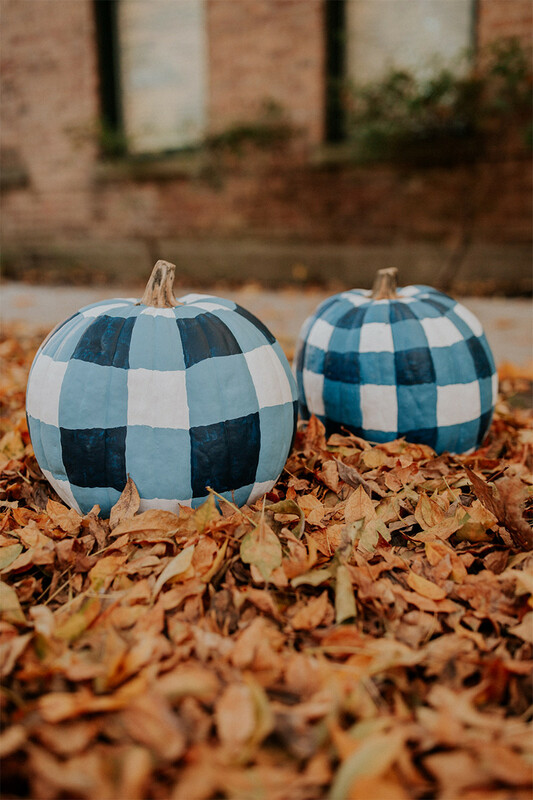 I love a gingham pattern pumpkin. 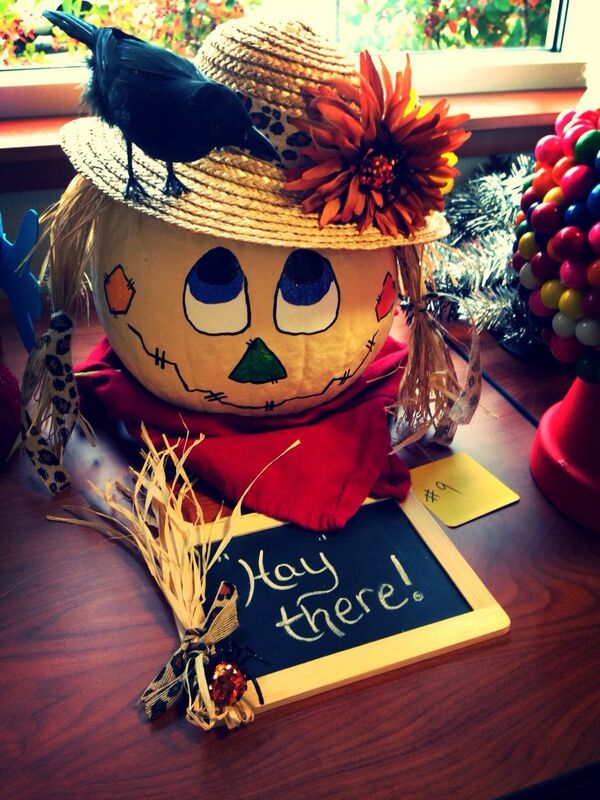 And how cute is this painted-pumpkin farm-inspired scarecrow? These pumpkin donuts are delightful on the eye. And, of course, nothing screams autumn like a football pumpkin. 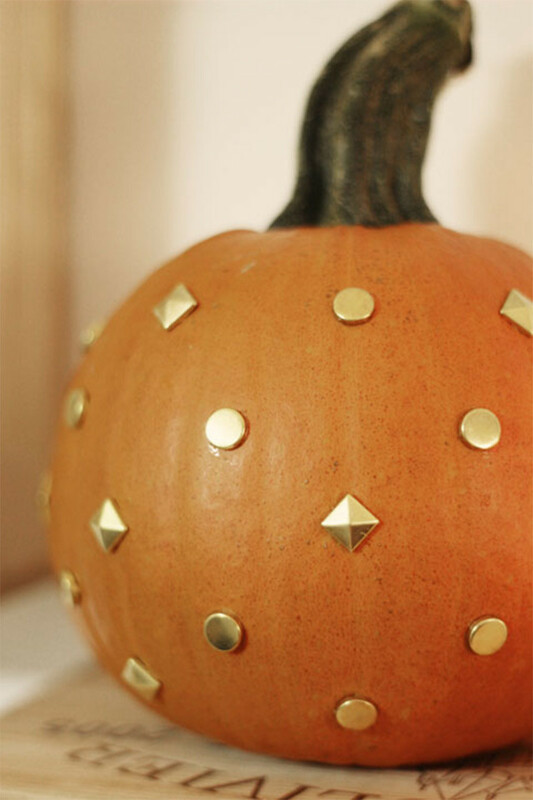 You can even make it easier on yourself by spray painting the entire pumpkin (stem included) gold for a gilded glam look. 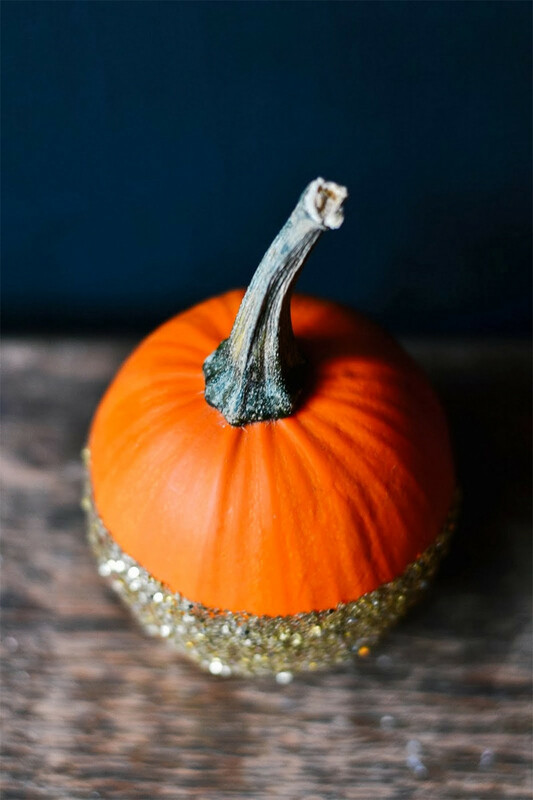 Dip the base of your pumpkin in glue and then follow up with a serious coating of glitter. Go with multiple colors or stick to the basics: silver, gold, and black. This makes a gorgeous statement that you can keep on display through Thanksgiving and beyond. Don&apos;t mind some mess in the name of art? 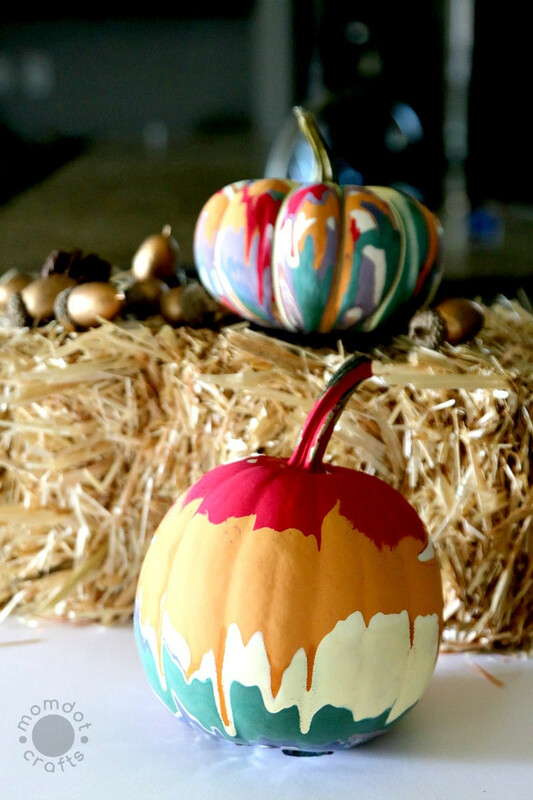 Glue a rainbow of crayons to the top of your pumpkin, and then use a hair dryer to melt them to create a colorful drip effect. 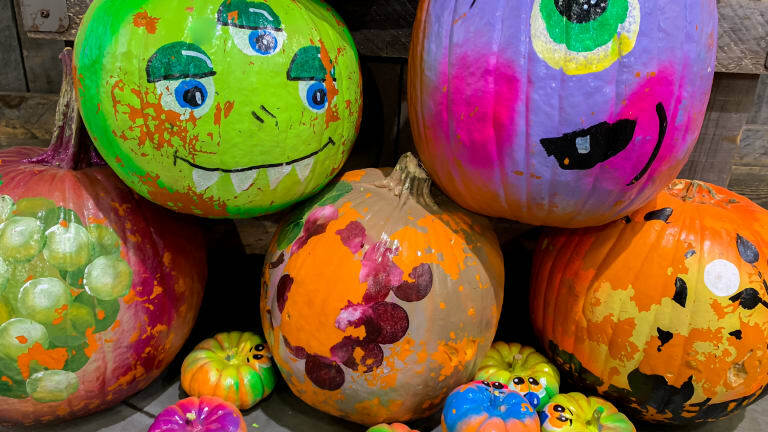 A cross between painting a pumpkin and melting crayons on top, this technique is abstract and creates stunning results. Start with a white gourde and use fall-inspired colors: mustard yellows, deep oranges, and eggplant purples will remain relevant long after the last Twizzler has been eaten. Best of all--because there&apos;s no precision required, you can have the kids help with the messy, drippy fun. 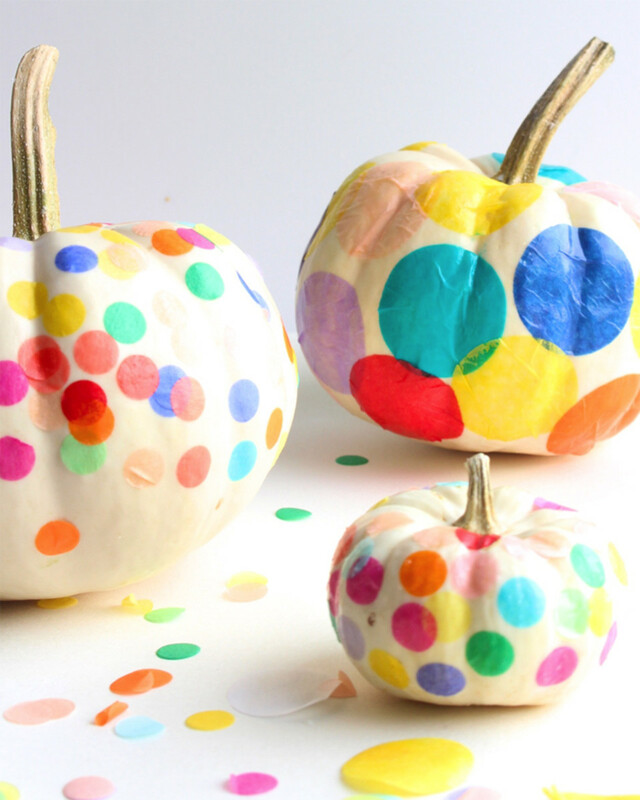 How easy and fun and colorfully festive are these confetti pumpkins? Get yourself a big bag of bright confetti in all different sizes, and start gluing. 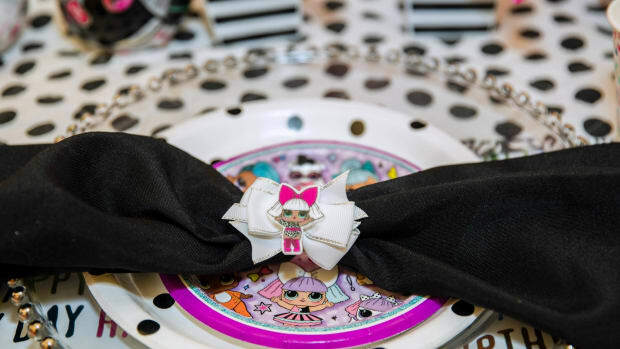 The kiddos will have a blast with this easy-peasy craft. A few thumbtacks spaced out or forming a simple design will give you a stunning pumpkin creation. This is as mess-free and easy as you&apos;re going to get!